1) how to approach the derivation of expression (123) ? 2) what constitutes value ~ 0.45 ? 3) why the need of taylor series when we can observe the identity property without any maths proof (input == output) ? 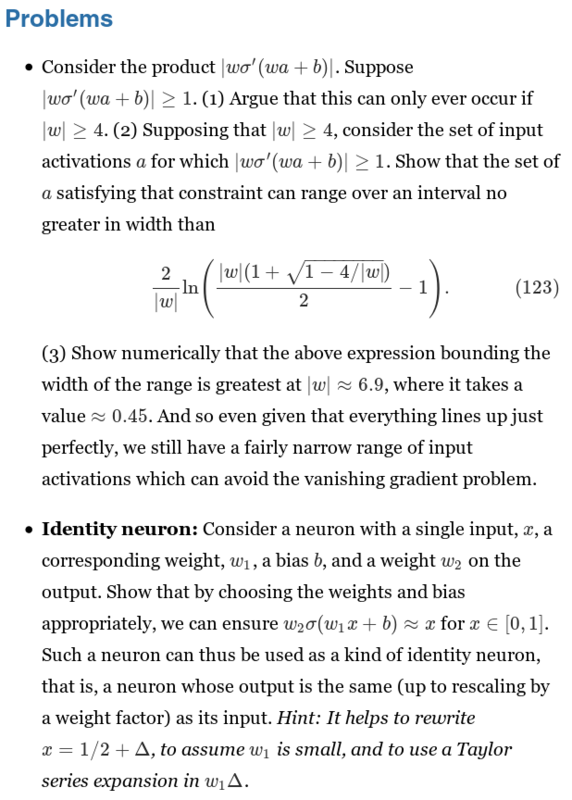 Browse other questions tagged neural-networks gradient-descent artificial-neuron or ask your own question. How can object types be differentiated in the input of a neural network? Neural network architecture for author name as an input? Has anyone investigated iteration awareness beyond RNN and LSTM?